There are a lot of ideas about how to improve your life today, it can go from a few tips from your best friend to the best “hot to do everything” guru out there. You might be juggling so many things at the same time, being a woman, work, motherhood, wife, and the list can go on and on and you would love to be successful in all at the same time. Sometimes it can be hard, to try to do everything at the same time, having your hands full and being tired of holding on for some time. From to busy to get organized. As life goes by, you might have found you need to do more and more to get your “to do list” done. Having so many things to do in your mind and when you start to work everyday you might have no idea where to start. It’s time to take a moment to breath and find the way you will be able to do all you need to do and get it done with less work, get organized. Set a direction where you want to go. A big company can not go and achieve the big goals they need to do to be profitable without a monthly, weekly and maybe a daily meeting where the boss set the goals and the plan to work on. By doing this, it will work for you too. Taking 30 minutes for you won’t hurt your day, the first time you might need those minutes, with practice you will find you can do it in shorter time. One day you will look at yourself and you will see how easy it can be done. Yes, I’m talking about get organized, every leader and good boss know where they go before they start their new day. If you had read about successful people habits, everyone of them talk about they take some time to plan a day the night before. 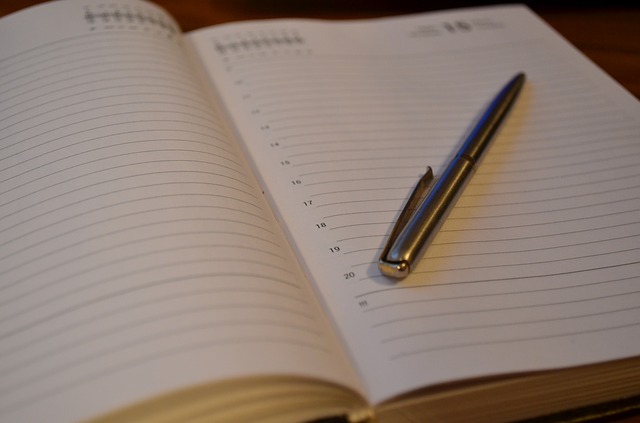 Now that you have your personal planner and you have decided to get organized, take the time you need the night before to write down those things you need to do the next day. Check one by one everything on your “to do list” and highlight with different color which one is important, which one needs to be done, and which one you would love to do if you still have time. At the end of the day, knowing what you need to work on will help you to keep your mind focused on the important things or work you need to do every day, and you will find you can achieve your goals easier and you will get more free time for yourself, your family and all those things you love to do. Hope I can help you to get more organized, if you have any questions about this topic, leave a comment, I will reply to it. You might want to read about 5 tips using a planner. If you are looking for a daily planner to help you to get more organized you might want to take a look.